14 Jul Session Shares: Radiating Love! Families and babies inspire me. From the way their home feels when I first walk in, to the way a family interacts with one another, the entire ambiance gives me a feel for how the session is going to go and the types of images I will strive to produce. My ultimate goal is create a space for newborns, children, and their families to feel comfortable with me so they can feel comfortable showing who they truly are in front of my lens. 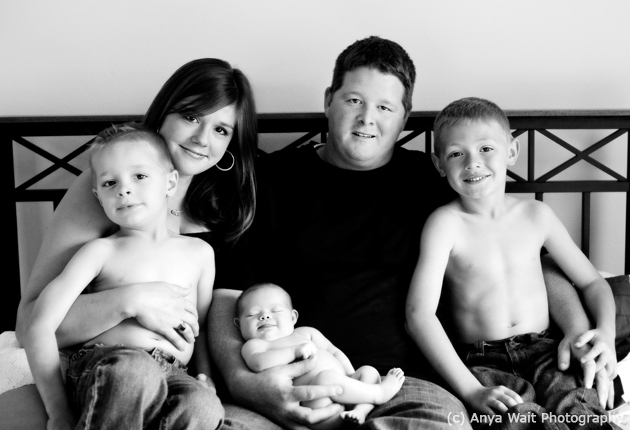 My favorite element of this particular session (s) is the love that I could feel radiating off this family. This was to be mom’s last pregnancy and I could tell she wanted to cherish every moment of it. When Lily was born, mom emailed me that night just basking in the glow of having just given birth to her first daughter. I even received a picture of “just born” little Lily showing me how absolutely beautiful she is. 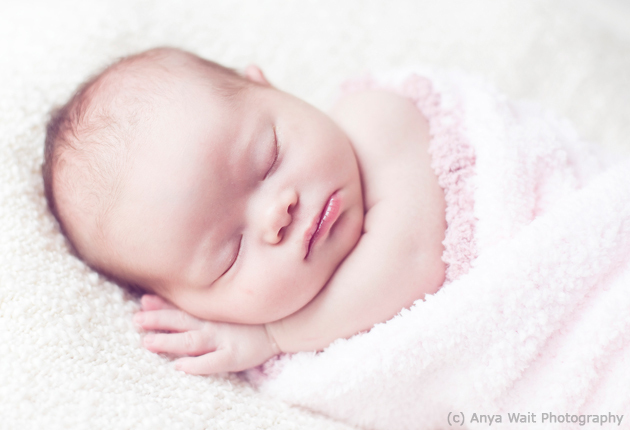 I could not wait to photograph her newborn session! The biggest challenge in this session was that Lily was diagnosed a few days after birth with Down’s Syndrome. 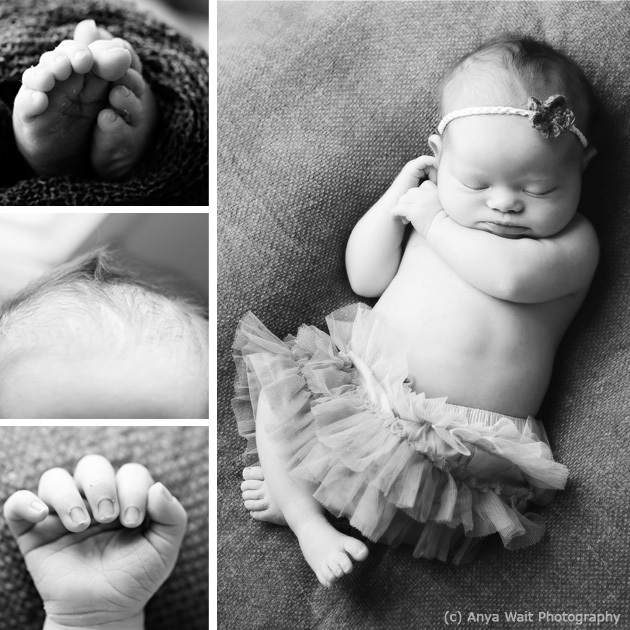 Some of my go-to newborn poses did not mesh very well with Lily and we had to work together to find comfortable positions. This was not only a challenge but also a wonderful gift as during the session Lily and I got to know each other and I could feel coming off of her what positions made her the happiest. She in turn gave back to create beautiful relaxed images documenting her delicate beauty and inner contentment. It is always an honor for me to be a part of each families lives, however for many reasons this session touched me deeply. I am forever changed as a person, a photographer, and a mother, for being allowed to be a part of this families journey. 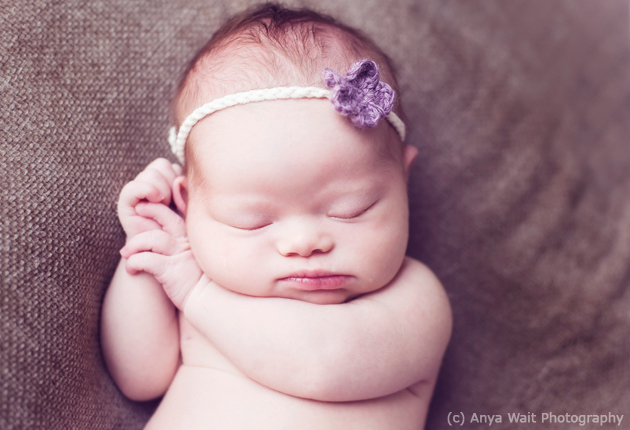 What a gorgeous baby!! 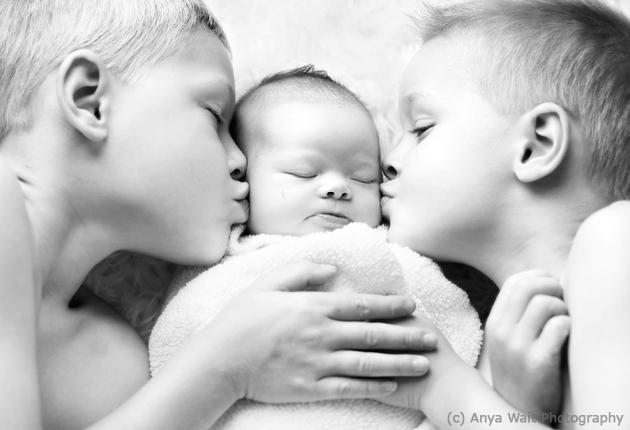 You can already tell how much joy she brings to this family~ great work Anya! Absolutely stunning! Such soft, simple, beautiful images.